4/9/13- A group of haredim who marked Holocaust Remembrance Day by having a barbecue party in Jerusalem’s Gan Sacher aroused anger and opposition from several quarters on Monday. According to Yediot Ahronot, approximately 200 haredi youths held a barbecue on Sunday night at the same as the Yad Vashem memorial service was taking place. Yotam Barzani, a news editor for Israel Radio disputed the figures however, saying on his Facebook page that he arrived at the park at 11:05 p.m. and found only 35 people making barbecues. One youth said they were honoring the memory of Holocaust victims in their own way, Yediot Ahronot reported. Another accused secular people of desecrating the Sabbath and failing to observe the Fast of Gedaliah, one of the six public fasts of the Jewish calendar, which marks the final loss of Jewish independence under the Babylonians. Chief Rabbi Yona Metzger condemned the incident and said he protested in the strongest terms people who separated themselves from the community, calling the event a desecration of God’s name. 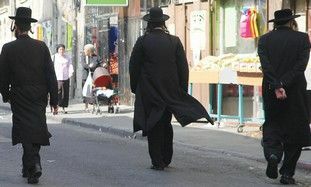 In his comments, made on haredi radio station Kol Berama, Metzger addressed a common complaint from the haredi community that standing silent is not a Jewish custom and is a waste of time. “There is no reason that a Jew shouldn’t learn to elevate the souls of the six million today, there is no ‘bitul Torah’ in this,” he said. “There is no reason that a Jew out in public shouldn’t stand still at the siren and say a chapter of Psalm. “If you’re out in public, it is sensitive, it’s is a desecration of God’s name [not to stand still],” he continued. “All the more so, to go and make a barbecue at a time when Jews are in mourning and are in pain over six million people? How is this permissible? It is a desecration of Gods name. Are in a place completely cut off from the world?” Metzger asked. The Chief Rabbi also commented on the failure to observe the Jewish Fast of the Ninth of Av, commemorating the destruction of the two ancient Temples in Jerusalem, by non-religious people, saying that engaging in leisure activities and eating at restaurants on the fast is also inappropriate. Joint Shas leader Arye Deri took to Facebook to condemn the incident, expressing “deep shock” at what was a stain on the haredi community. “I call on teachers and educators to pass on to the next generation the particular importance of these days and instill into their consciousness the sensitivity required of them,” Deri wrote. Dr. Efraim Zuroff, director of the Simon Weisenthal Center in Israel, explained that hostility in the haredi world to observing Holocaust Remembrance Day for various philosophical and theological reasons. There is a general antipathy to performing any ceremony determined and established by the state, as well as more specific opposition to any element of commemoration which does not have Jewish roots, such as sirens and observing moments of silence. He also noted that in theological terms, the Holocaust is very difficult to deal with for the haredi world. “The fact that one and a half million children died, who are not considered responsible for sin, as well as so many outstanding Torah scholars, is hard to explain, especially when the haredi world is not open to questioning Gods ways,” Zuroff said.